Amberlyn Lake graduated from Western State College with a BA in Elementary Education and holds a Masters in Education as a Reading Specialist from Regis University. She has taught many years in the classroom in both Cotopaxi and Saguache, as well as an online teacher for Colorado Virtual Acadmey. Amberlyn was born and raised in Salida and has family members in the area. 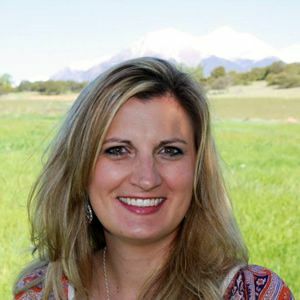 Upon graduation, Amberlyn returned to Salida, so her children could experience the small, tight knit community where she and her husband, Chris, were fortunate to call home growing up. Amberlyn and Chris have three very active boys, which allows them to spend lots of time in youth sports and 4H. Amberlyn brings a deep understanding of the Chaffee County Area, and a passion for the Colorado Lifestyles, which are abundant in the area. Amberlyn’s enthusiasm and drive to help people achieve their life long goals and dreams enhances her proficiency as a Realtor. Amberlyn loves the Colorado Outdoors. She and her family enjoy hunting, camping, fishing, 4wheeling, and skiing on the slopes of the many Colorado mountain resorts.